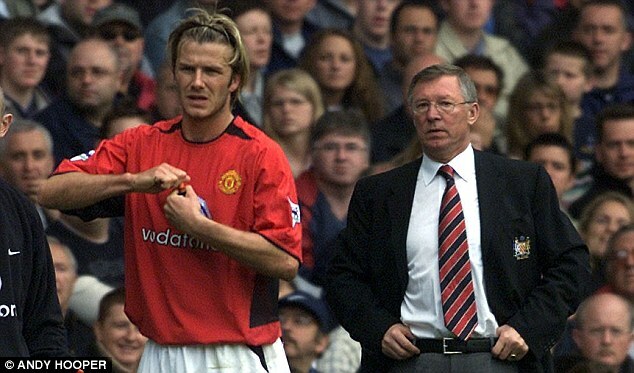 PSG midfielder David Beckham has admitted his career would never have hit the heights it has without guidance from Sir Alex Ferguson. The former Manchester United midfielder led the tributes to the 71-year-old Scot after he announced his retirement after 27 years at Old Trafford. 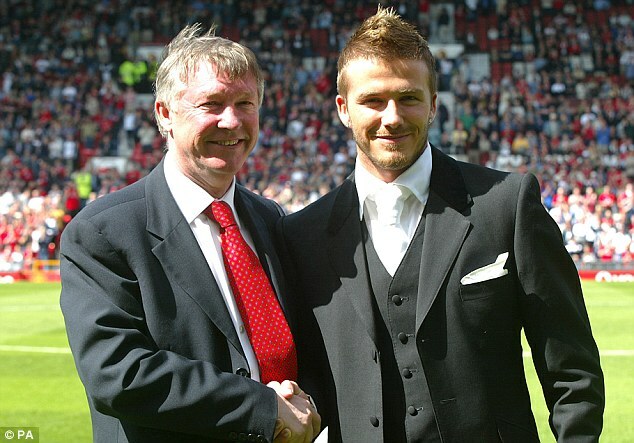 Beckham, who went on to play for Real Madrid, AC Milan and the LA Galaxy after leaving United, was quick to acknowledge the role Ferguson played in his life. As I have said many times before the boss wasn't just the greatest and best manager I ever played under he was also a father figure to me from the moment I arrived at the club at the age of 11 until the day I left,' he said. 'Without him I would never have achieved what I have done in my career. He understood how important it was to play for your country and he knew how much it meant to me. 'After '98 (when Beckham had been sent off for England in the World Cup and faced a hugely hostile response back home) without the manager I would have found it virtually impossible to cope with the attention I was getting on and off the field and for this I will always be grateful to him for his support and protection. 'I am truly honoured to have been guided by the greatest manager in football and to have had the career that I had under him. 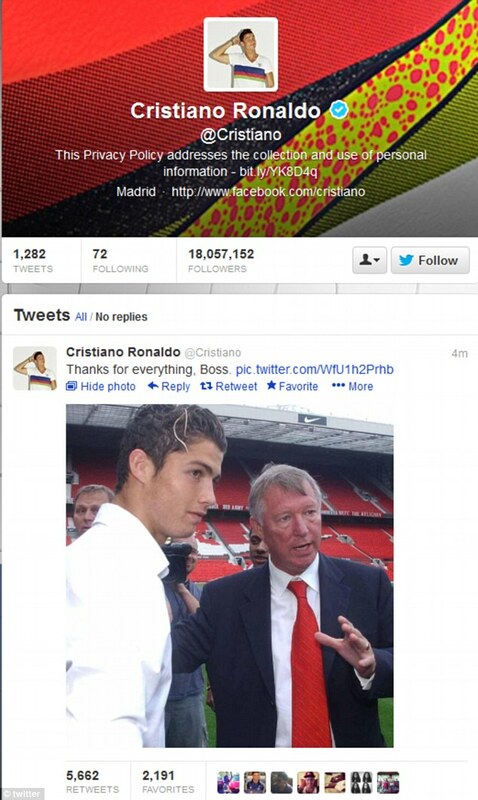 Real Madrid star player, Cristiano Ronaldo meanwhile earlier led a wave of Twitter tributes from his fellow former United players and figures around the sporting world after Ferguson's retirement. Ferguson turned the Portugal forward from a showboating teenager into a superstar and sold him to Real Madrid for a world-record £80million in 2009. 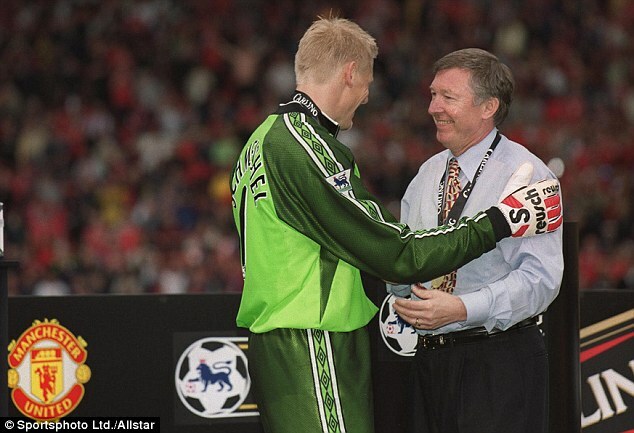 Another of Ferguson's most inspired signings, Peter Schmeichel, said he was very surprised by the announcement. 'I'm shocked - I just can't make sense of the timing,' he told Sky Sports News. 'It has come as a bombshell, I really don't know what to make of it. 'Yesterday I was really happy with what he had done this season, now this, I'm disappointed and very sad. 'He's always said the day would come when something in his life wasn't right, is it is hip operation (he will have this summer)? I can't see him retiring over that. 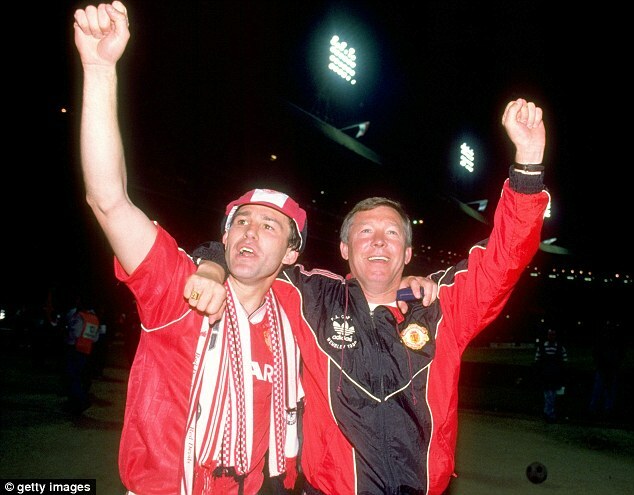 The Great Dane's team-mate Bryan Robson - Ferguson's Captain Marvel at Old Trafford - also expressed his astonishment at the announcement, saying: 'It came as a surprise. He's probably the greatest manager there's ever been. 'To be at Manchester United for 27 years is a magnificent achievement never mind to win what he's won. 'I'm sure there are good reasons, whether its to put his feet up and spend more time with the grandkids and have more family time, I don't know. 'He was always the first in to the training ground. Nothing's been said at the club about a successor but like everything at Manchester United they will probably know in their own minds who the next manager will be, because it's going to be an unbelievably hard task for whoever it is. 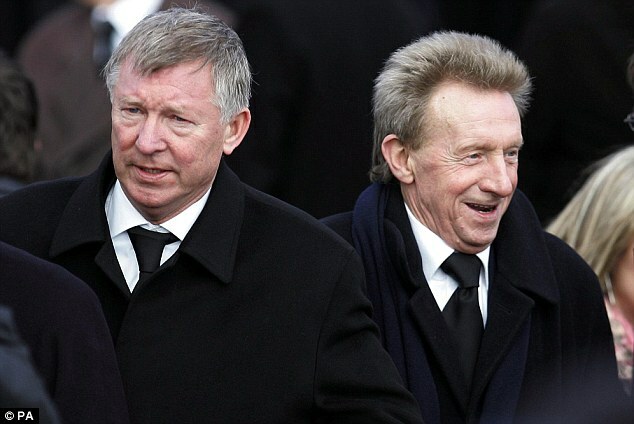 A United legend from even further back, Denis Law, said he doesn't know why Ferguson chose now to retire. 'I was extremely shocked. I couldn't believe it. I was with him only last week in Manchester. I always thought he would go on until 90 and then say, "That's it". He's too young to retire,' said Law. 'Who will take over, I don't know? Who takes over from the most successful manager of all time? Its a difficult job for anybody but he has left Manchester United in a strong position. Whoever comes will be given time. 'I've no idea why he's taken the decision. His life is football. The good thing about Sir Alex is that he's never changed after all this success. 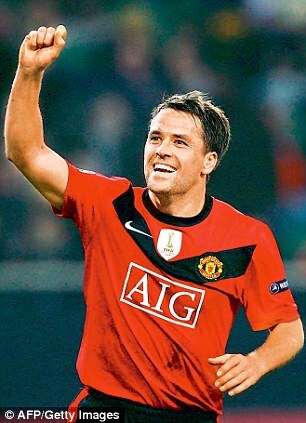 Fellow former Old Trafford striker Michael Owen also took to Twitter to show his appreciation for his former manager. England manager Roy Hodgson said the news was a blow to football. 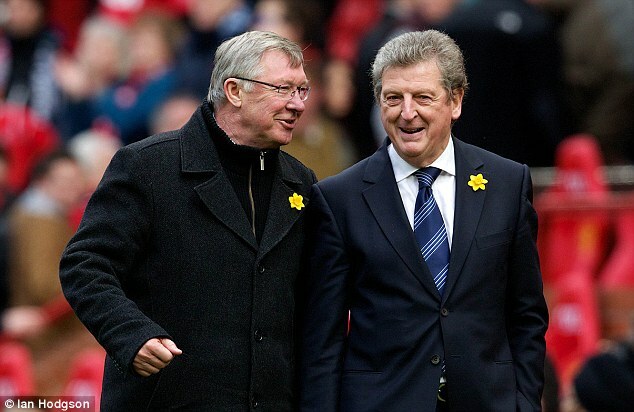 He said: ‘The unexpected news this morning that Sir Alex Ferguson has decided to retire marks the end of an era in football management. ‘No one will be able to match his achievements, his dedication, his support for colleagues in need and his team building know-how. Triple Olympic champion, fastest man in the world and and United fan Usain Bolt also tweeted his appreciation, posting a picture of the two of them together.